She was an Indian politician and the member of the Lok Sabha from 1977 to 1980, representing Mumbai North Central parliamentary constituency also. Ahilya came from a family influenced by the values of the social reform and all the four daughters and daughter-in-law completed their graduation. On 8th August 1942, in response to the declaration of the ‘Quit India’ movement, Ahilya joined the students in enforcing a strike in the college. On 15th August, hearing of the death of Gandhiji’s secretary Mahadevbhai Desai in jail, Ahilya led her student friends in a protest march, resulting in them being arrested. They were sent to Yeravda jail for three months as Class B prisoners. She and her friends worked with Class C prisoners who had a poorer quality of amenities and food. They mobilized women prisoners to donate coloured saris with which they stitched together and hoisted the Congress tricolour on the prison wall standing on a human pyramid! As punishment, Ahilya and co-inmate Indutai Kerkar were confined in a tiny cell for seven days. She was rusticated by Fergusson College and came to Mumbai to complete her graduation. She was drawn into the struggles of the mill workers and became active in the Girni Kamgar Union (Lal Bavta). In 1943, Ahilya joined the Communist Party of India. 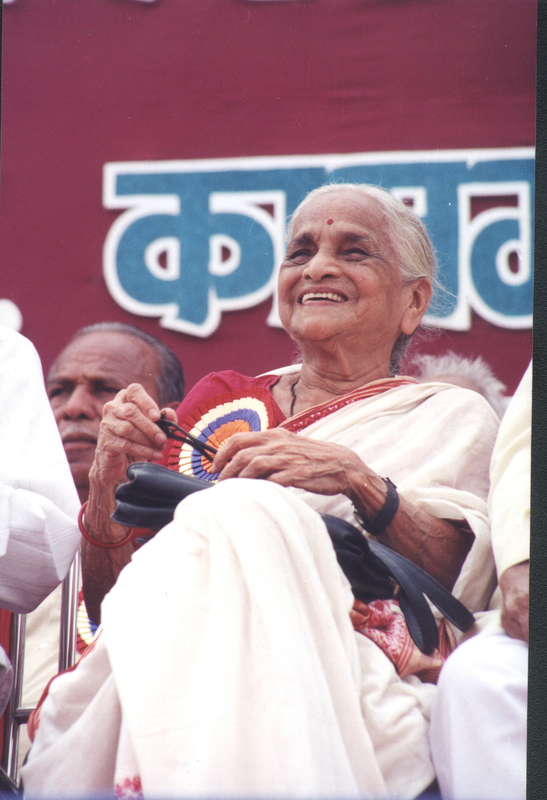 She along with other communist women freedom fighters formed the Parel Mahila Sangh to organise women in the Lalbagh-Parel area. They raised demands for maternity leave and better wages for women mill workers. With a strong base amongst the mill workers of Mumbai and their families, they took up the issue of the shortage of milk and other essential commodities during the war period, forcing the government to supply them at controlled prices. During the Royal Indian Naval Ratings (RIN) Mutiny in February 1946, the Parel Mahila Sangh organised food for the striking sailors from the homes of mill workers and organised the Koli (fisher caste) women to convey the food. In the firing by British soldiers on striking mill workers below Elphinstone Bridge at Parel on February 22, her comrade Kamal Donde was killed, her sister Kusum Ranadive was shot in both legs. Ahilya miraculously escaped harm. All her life, Ahilya worked to draw women into mass struggles.